This week is full of fun events, including the kick off to Pride, and this week’s photo winner sums it up in one awe-inspiring photo. Congratulations to this week’s #weamaze winner, @lavieenrosemin! 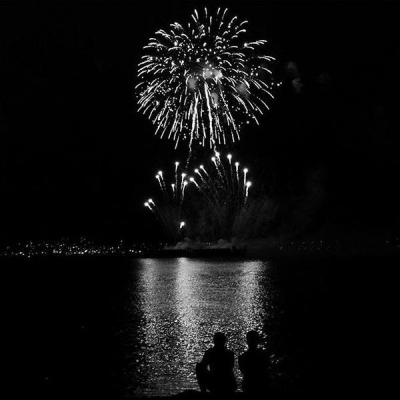 Rosie (@lavieenrosemin) has won the weekly prize for her photo of the opening night of Honda Celebration of Light. This photo truly captures the energy and awe of last weekend’s fireworks spectacle. DId you know that almost 300,000 people attend the fireworks in the West End on any given fireworks night? We have been proud to welcome these visitors to our neighbourhood for the last 25 years. Rosie has won a gift certificate for bicycle rentals at Yes Cycle and tickets to Theatre Under the Stars, thanks to contest partner Intracorp and The Jervis. Additionally, Rosie is now in the running for the chance to win the grand prize of a new Electra Loft bicycle from Denman Bike Shop at the end of the summer.